Updates on the Government's work to help grow the number of electric vehicles on New Zealand roads. 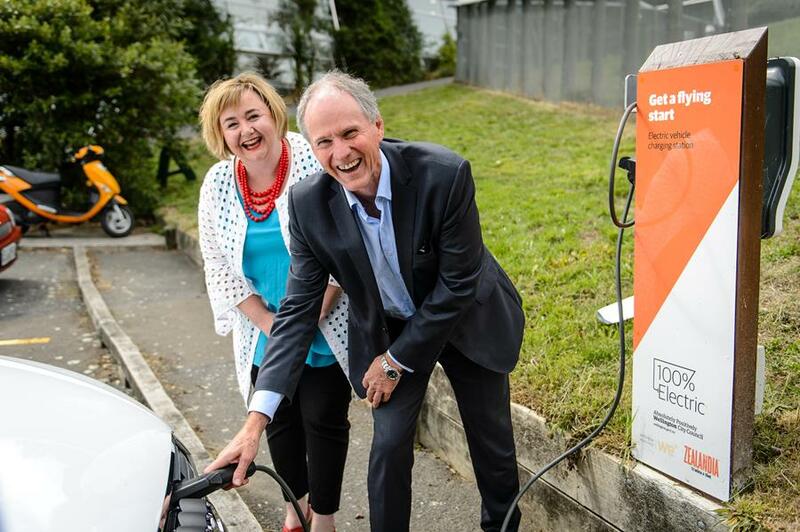 Pictured: Dr Megan Woods, Energy and Resources Minister, and Andrew Caseley, EECA Chief Executive plug in at ZEALANDIA in Wellington. Also announced was a MITO project to develop a qualifications framework for mechanics working on electric vehicles. The fund offers up to 50% funding towards projects. Applicants must match or exceed the amounts granted. For this round recipients are contributing $4.3m. Projects are approved conditionally until contracts are prepared and signed. The NZ Transport Agency has committed to switching 30% of its fleet to EVs as existing fleet leases expire. The Transport Agency will share what it learns with the wider government sector, particularly in the procurement of charging infrastructure. To enable a smooth transition to EVs, the Transport Agency is releasing a Request for Information through GETS to identify the fleet charging solutions that are currently available in New Zealand. This will inform its approach to going to the market in February. If you have a fleet charging solution please respond. Check out www.gets.govt.nz.